Post-EMC merger, RBTE provides a key opportunity for sales teams to re-engage with their previous Dell or EMC accounts. Up to eight solutions partners must be present on stand, while maintaining Dell EMC as the focus of the stand. Messaging supported Dell EMC’s overarching Global campaign of ‘Let Your Transformation Begin’, with strong lifestyle photography supporting. The layout of the stand provided individual sections for six partners – each under their respective transformation messaging pillar (IT/Security/Workforce/Digital). We worked with a molecular Mixologist to create custom ‘transformative’ mocktails on stand – changing colour, or using dry-ice to smoke when served. Over 500 mocktails were handed out to attendees over the two day show – each in a Dell EMC branded tumbler, providing additional exposure across the show floor. 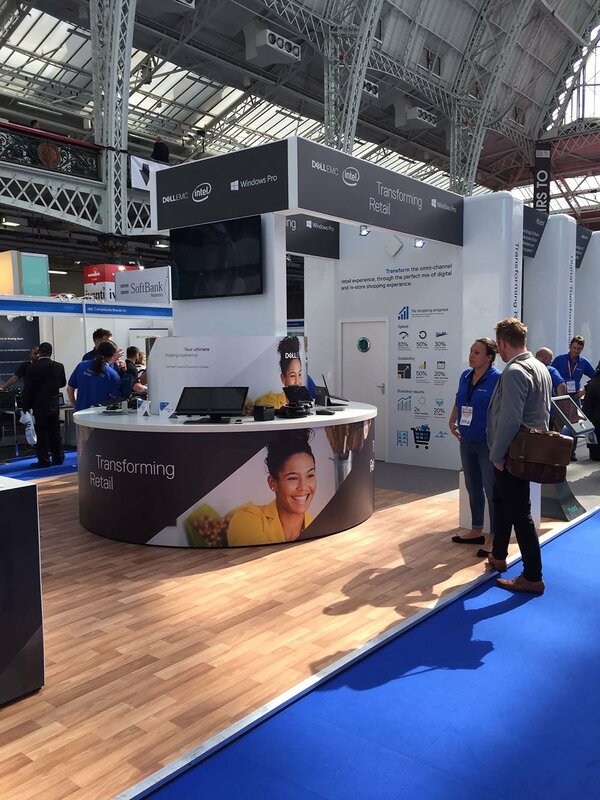 The range of partners on stand provided attendees with an exceptional understanding of how Dell EMC enables delivery of end-to-end retail solutions. Over 290 sales ready leads were captured.